Man Utd are reportedly favourites to land Christian Eriksen from Tottenham, as the Danish playmaker could follow Mauricio Pochettino to Old Trafford this summer. Speculation is increasing due to the fact that the influential Spurs star is said to be stalling on a new contract renewal, which in turn has led to suggestions that he could be assessing his options. 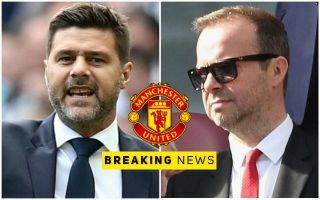 According to The Sun, as per Betfair, Man Utd have been installed as favourites to land his signature should he leave Tottenham, while it’s specifically noted how Pochettino is also favourite to be appointed as their long-term boss this summer to take over from interim manager Ole Gunnar Solskjaer. It would be a major double move from the Red Devils, with Eriksen establishing himself as a fundamental part of Pochettino’s plans at Tottenham with his decisive creativity proving to be crucial to their play. The 26-year-old has scored 45 goals and provided 59 assists in 189 Premier League appearances since his move from Ajax, and United could certainly do with that level of creativity through the middle. Time will tell if such a double swoop can be completed as these are based on odds and the bookmakers, but if it is, it would a major blow for Spurs who continue to exceed expectations and challenge at the top end of the Premier League table.